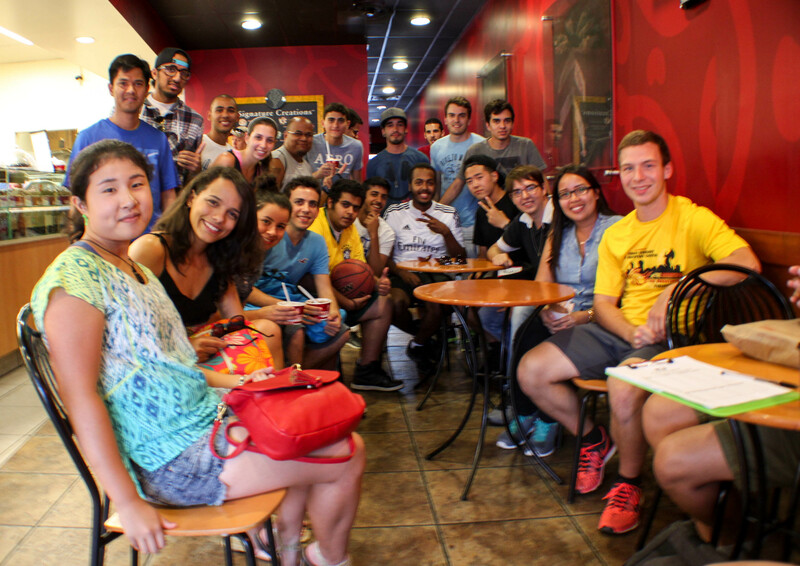 The Social hangout started in Fall of 2013,and over the Summer of 2014 it blossomed into a weekly event that our students look forward to. At the beginning of the summer, we only had three students and seven ELP faculty and staff. We now have an average of 15-17 students that show up at every event. During this time the students can make new friends, get to know their teachers and advisors and practice using English. 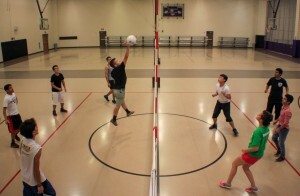 Social Hangout activities range from playing games and sports to scavenger hunts and potlucks. It has been our pleasure to partake in the activities and to have this time for the students to relax and have fun. 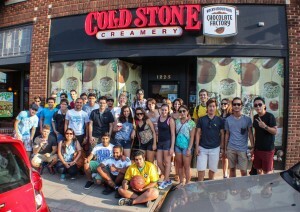 Pictured below are over 70 students who attended our End of Summer Semester Potluck.